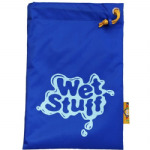 These extremely popular swimming or sports bags are a great all round bag for school, swimming or the beach. A stunning range of cool colours and funky designs. 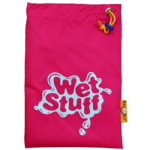 Made of tough waterproof nylon to survive kid's wear and tear, you can even put them in the washing machine. 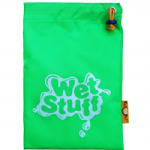 Comes complete with a durable rubber name tag to personalise your bag and keep your kids' gear out of the lost property.